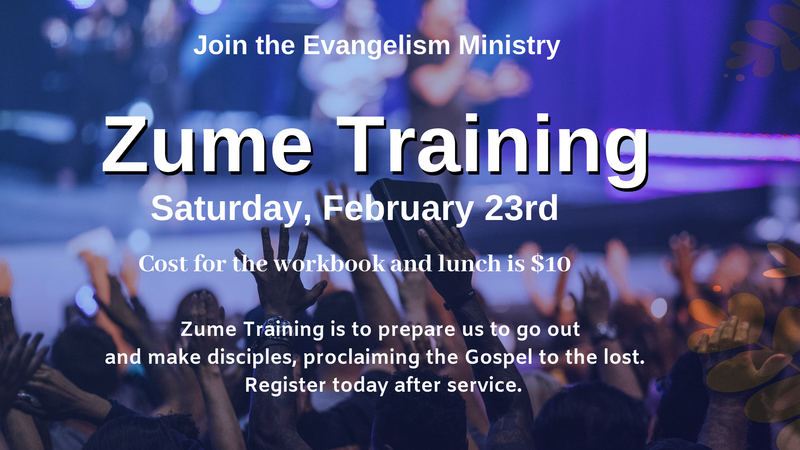 Join the Evangelism Ministry on Saturday, February 23rd from 9am – 2pm for Zume Training. Zume is designed to help you fulfill the Great Commission by teaching you how to make disciples who can make disciples. Registration is today after each service. The cost is $10 and includes your book and a box lunch.